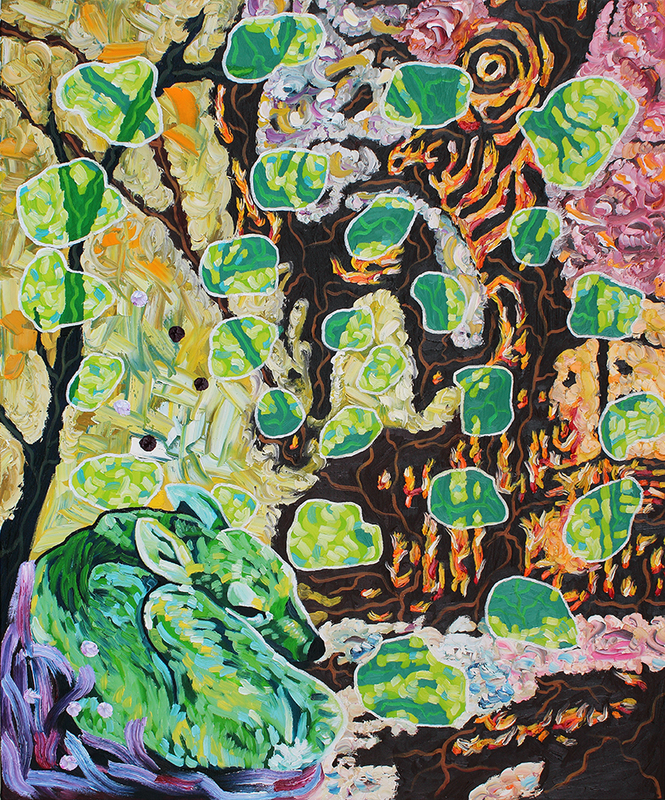 Explore this series of oil paintings by artist Luke Redd. Find out what it means to reimagine the power of your well-earned spots. 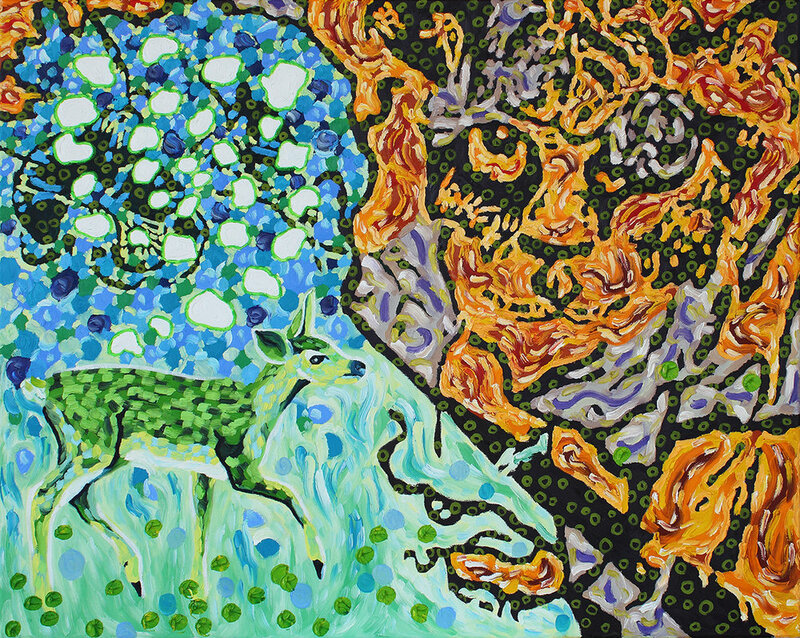 This series was inspired by a vivid dream I had about a fawn. The young deer provided a calming influence in what, up to that point, had been a nightmare of rage and hostility. And it opened my heart more fully to the concept of strength through vulnerability. I believe the fawn entered my life to teach me grace in spite of the turbulent world around and within me. It taught me to use my own spots—the emotional scars of my life—as a source of vitality and creation. It helped me replace destructive thoughts with constructive ones. The fawn serves as a gentle reminder of how to deal with troubling times and troubling people without sacrificing our own sense of inner magic. We don’t have to try dominating our feelings or those of someone else. Instead, we can let our spots remind us that we’ve survived the darker elements before—and so has everyone else. Life has left its marks on each of us. Being able to recognize that fact is the first step toward living a life based on love and acceptance rather than fear or cold indifference. The fawn is at peace in the ever-changing storm. It un-camouflages its spots so that others may discover the message. The spiraling pattern encourages us to choose: Will we collapse inward toward the lonely abyss? Or will we dare to open up and reach out and grow?